Thank You to all the attendees and partners who contributed to the Charity Auction this year at Anime Expo 2018. With your help, we were able to surpass 2017’s results by 40% with a total of $17,806 raised for Animator Dormitory! We are so grateful to all of our guests and industry partners who donated all the unique and special items that helped make our Charity Auction a success! 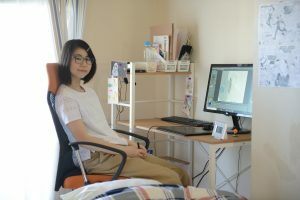 With the contributions provided by Anime Expo, the Animator’s Support Organization was able to expand their dormitory with two new rooms in Ogikubo. Pictured below are Ms. Akamatsu and Ms. Hiraiwa who are currently living in the new Ogikubo dorm rooms. Anime Expo is honored to be able to directly support people in the industry who help create the content that we all love. To learn more about Animator Dormitory and how to give, please visit their current crowdfunding page.